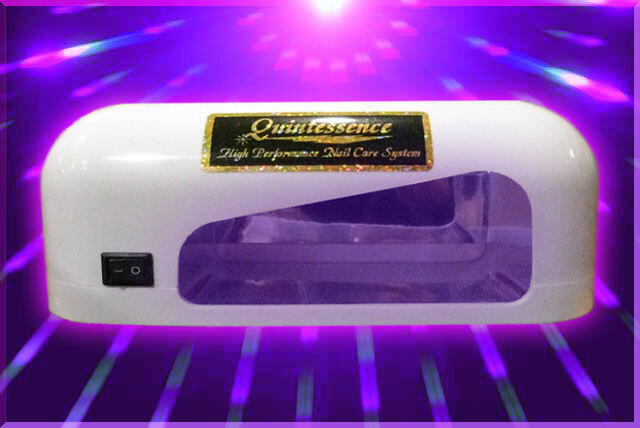 QUINTESSENCE Standard UV Bonding Lamp: this light is the lowest intensity UV light made. It will not tan your hands. It has a single 6 watts bulb. Our products have been custom engineered to cure fastest under Near UV.